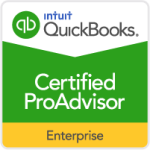 We have the training and experience to assist you with achieving the maximum benefits of using QuickBooks for your business. 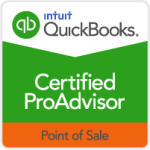 Our QuickBooks Certified ProAdvisors can help you select and customize the program that is best for you and your company. We are experienced in multi-user setup and can provide each member of your team with a password that will allow or restrict access to the different areas of your QuickBooks company file so they see only what you want them to see. Learn how to make QuickBooks a powerful tool in running your business. Is your file older and giving you fits or are you coming to QB from another program? We can create a new file for you that includes all open transactions and lists, without data entry and hassle. We provide personalized QuickBooks training to fit your company’s needs. 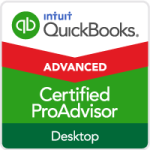 Whether you are a beginner or are looking for help with the more advanced features of QuickBooks, we provide the training you need. Are you just beginning and don’t know where to start? We can install the program for you, setup your company file and customize your QuickBooks so that everything you need, including customized reports, is right there at your fingertips when you want it. Then we train you and/or your staff to perform the day-to-day bookkeeping tasks necessary for you to keep track of the finances of your business. 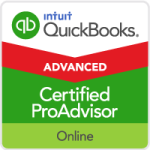 Do you know the basics of QuickBooks but want to learn more? Want to know how to use Classes or manage your assets and loans? Maybe you would like to learn how to manipulate your inventory from raw materials into assembled parts? We can get you on your way to keeping track of exactly what you need to know in your business.